You parked your car and went on with your day. Later, you might have an unsettling moment as you worry about whether or not your car is ok. Checking on it usually requires a person to stop what they are doing and go back to the parking lot. Raven makes any car a smart car, and enables you to quickly check on your car from wherever you are. Todd stopped by the Raven booth to talk with Russell. 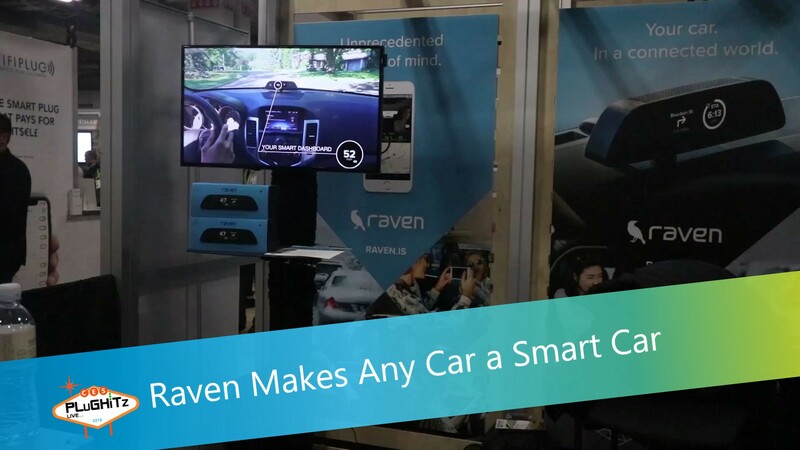 Raven is an all-in-one connected car solution. It has built-in cellular LTE, cameras, sensors, displays and a high performance six core processor that gives you and your vehicle new capabilities. Features include a rear facing camera, a front facing camera, real time displays, LTE module that is always connected to the internet, and a security system. Raven transfers video of your trip onto your phone so you don't have to transfer those files yourself. Raven will start shipping in March of 2018 and is priced at $299 US. There is streaming subscription fee of $8 a month.